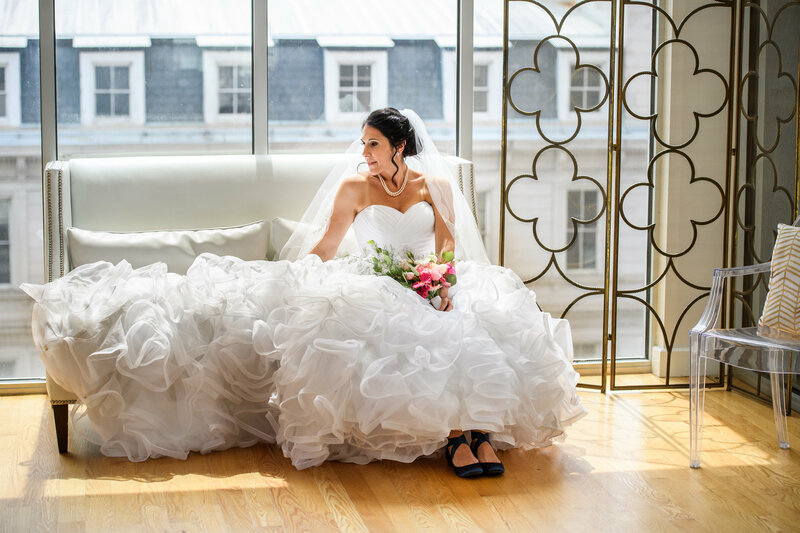 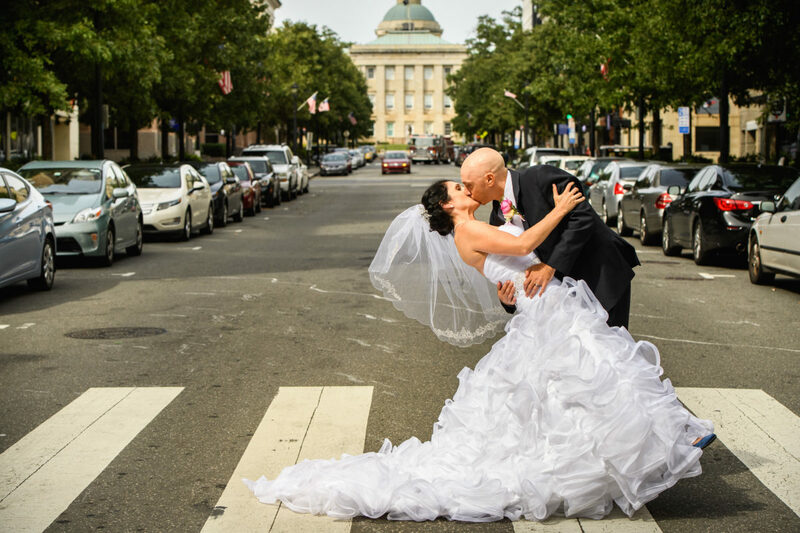 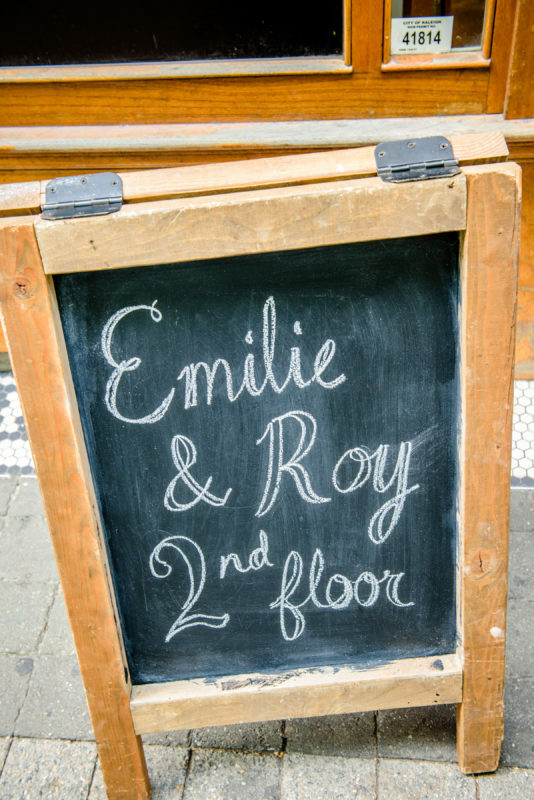 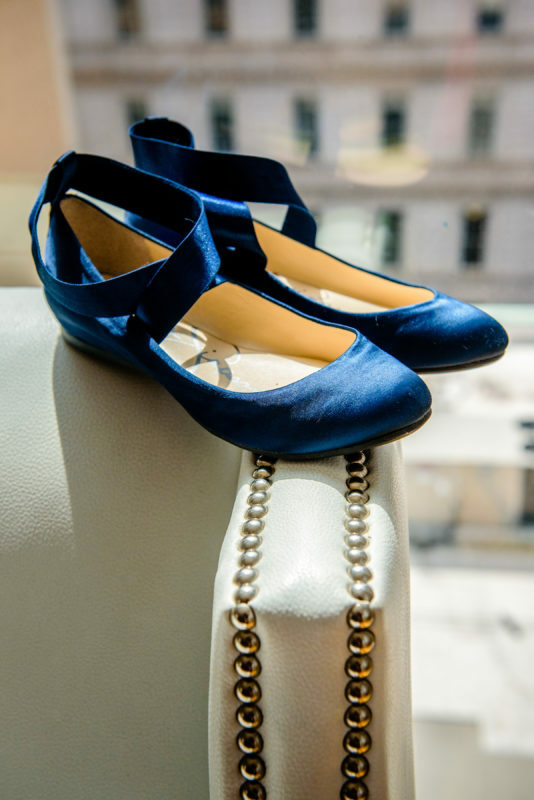 Emilie and Roy had their beautiful downtown Raleigh wedding at The Stockroom 230. 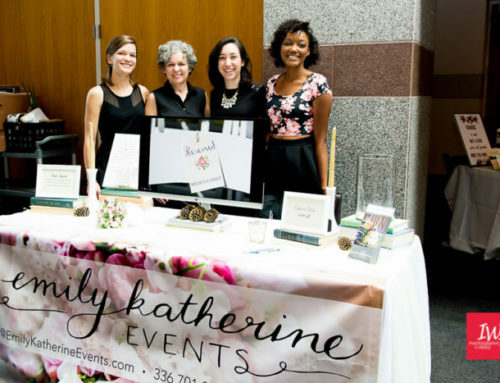 They brought Emily Katherine Events on for wedding coordination, which means they pulled together most of the wedding plans on their own! 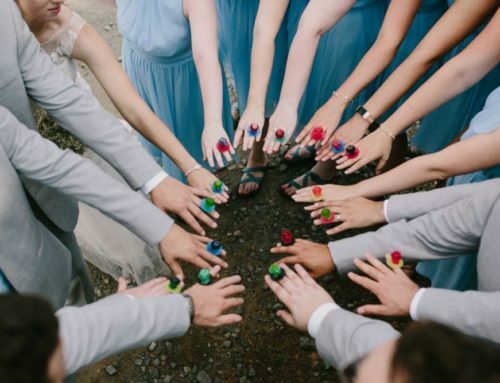 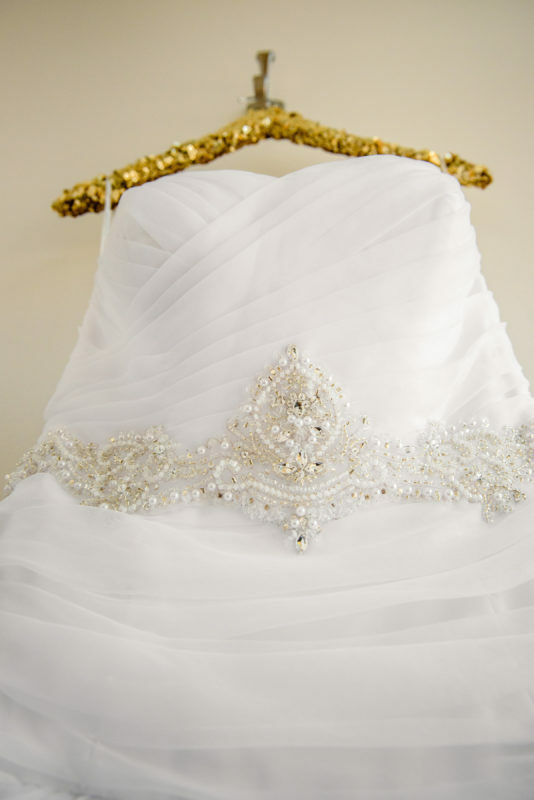 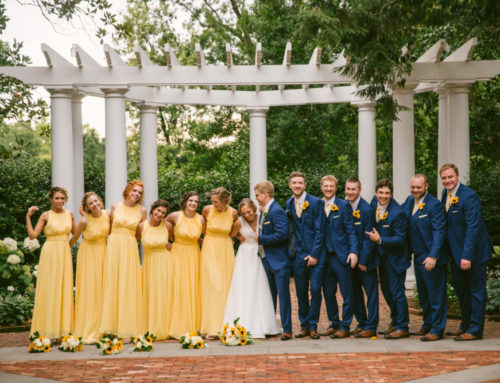 Take a look at some of the beautiful details of their late summer wedding in Raleigh, North Carolina. 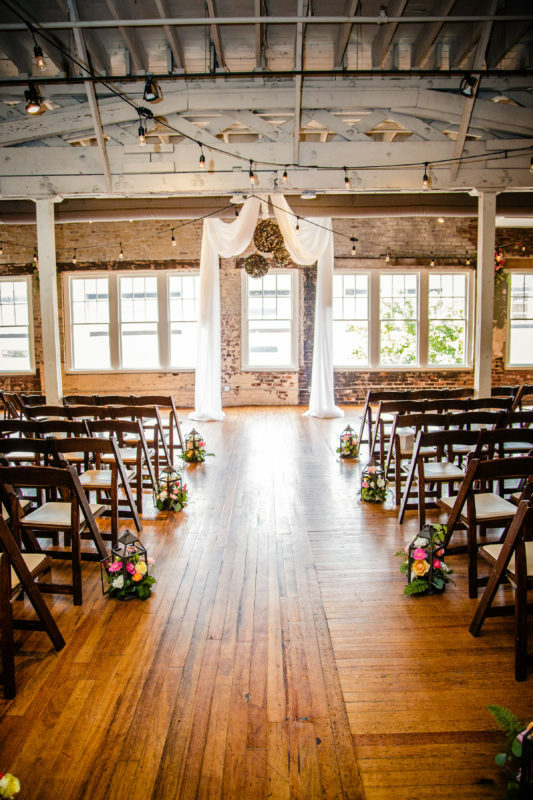 The Stockroom at 230 is a beautiful industrial wedding venue in downtown Raleigh. 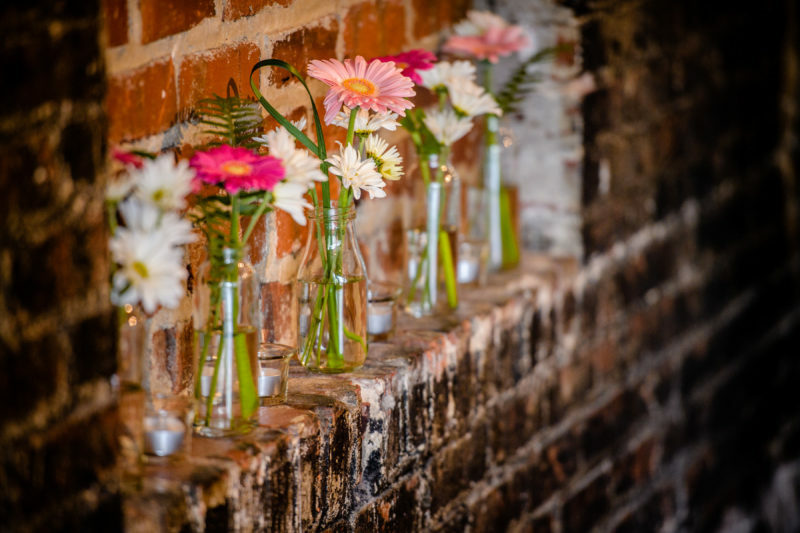 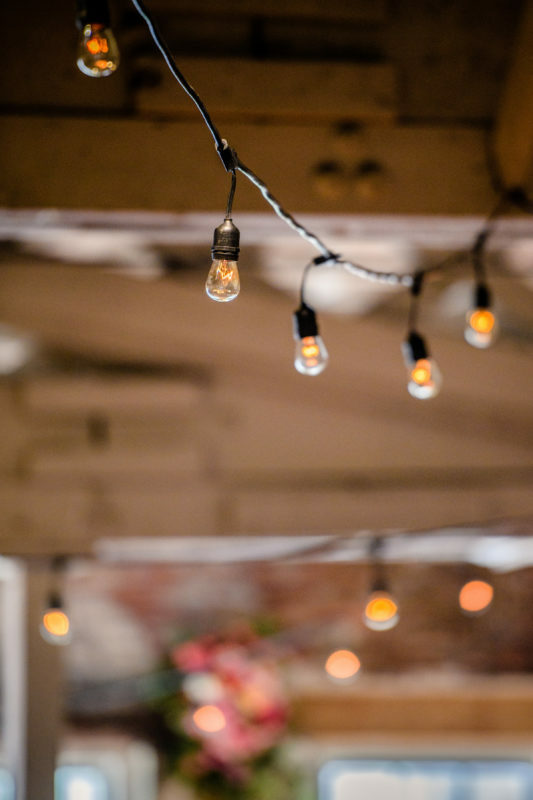 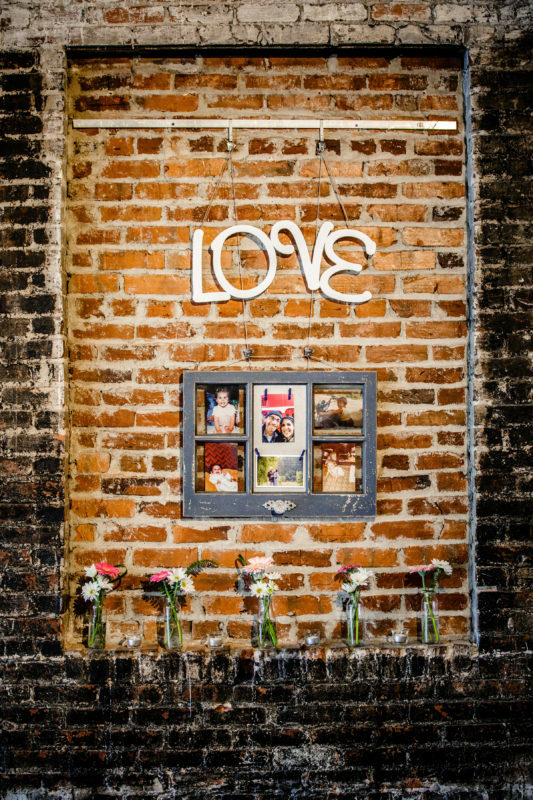 With all the exposed brick and wooden floors, the venue is very pretty on it’s own, and you don’t need to do much to it. 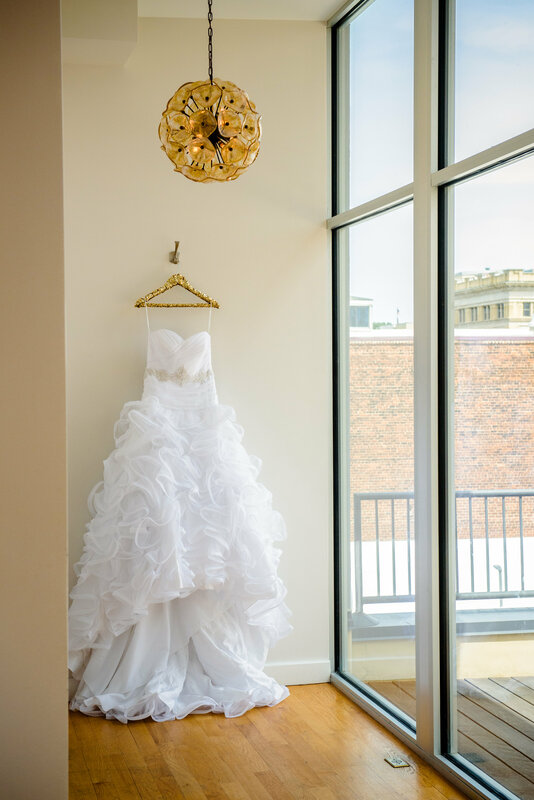 That said, there are definitely endless options when it comes to decorating for a wedding here, and Emilie and Roy added their own personal glamour to the space. 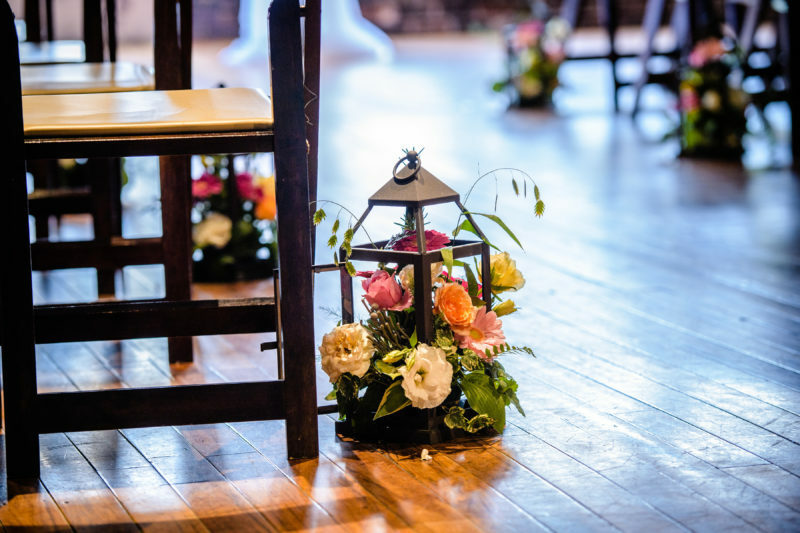 An altar space for the ceremony was created with drapery and grapevine lanterns, and more drapery was added to separate the ceremony from the cocktail hour space. 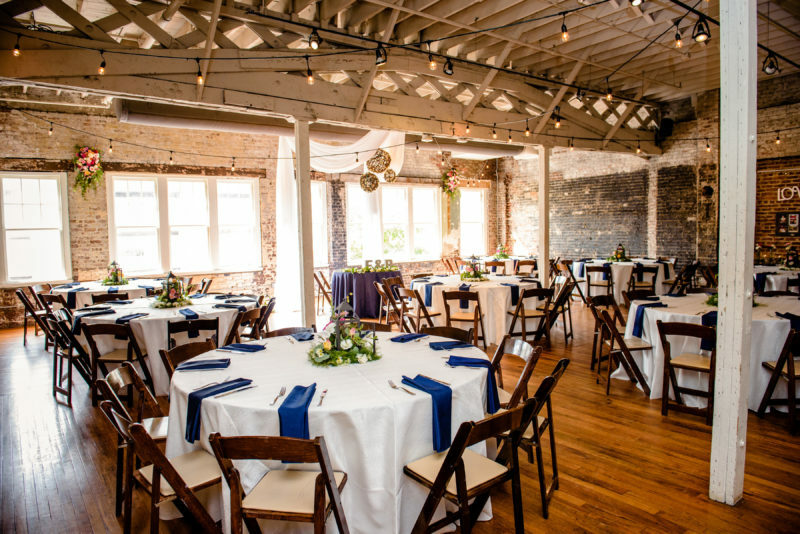 This partition allowed the ceremony space to be flipped for dinner and dancing while guests enjoyed the bar. 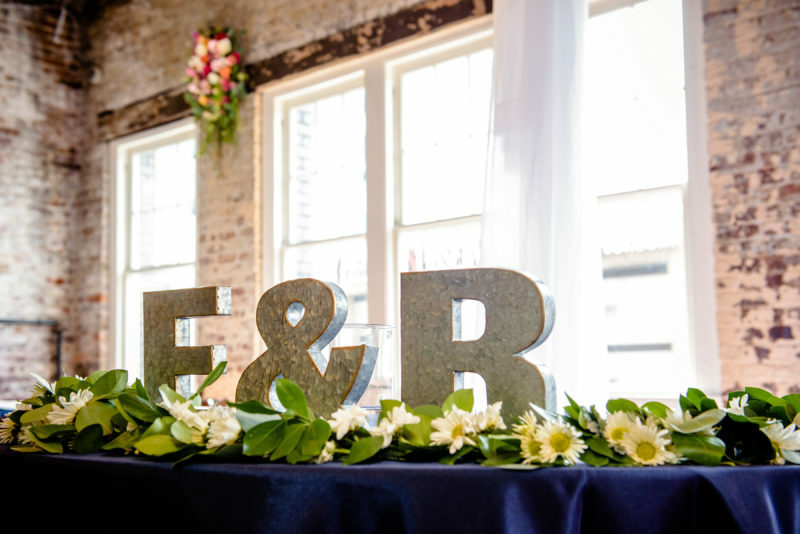 I love when ceremony decor does double duty at the reception! 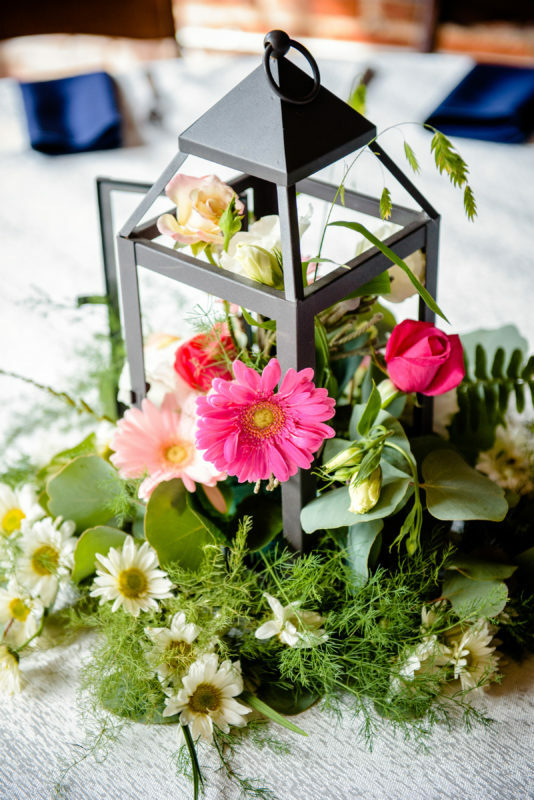 Emilie and Roy’s aisle lanterns were converted to centerpieces for the tables, and their beautiful ceremony altar became the backdrop for their sweetheart table. 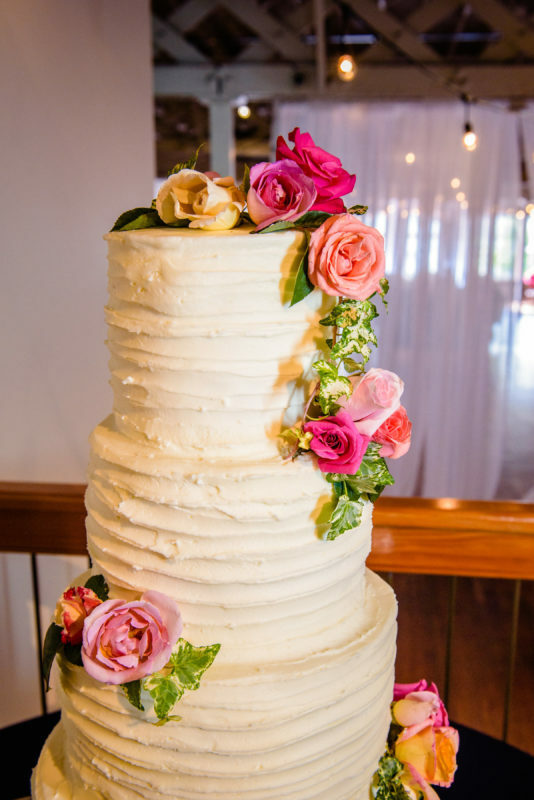 The beautiful flowers from Jansa Designs were enjoyed throughout the venue, including on the wedding cake. 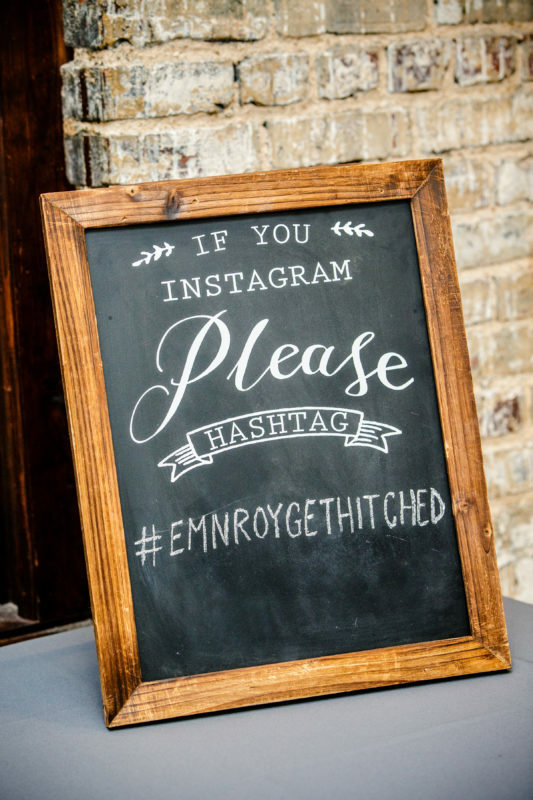 I’m all about edible favors (none of us needs more “stuff” but we’ve all got to eat, right? 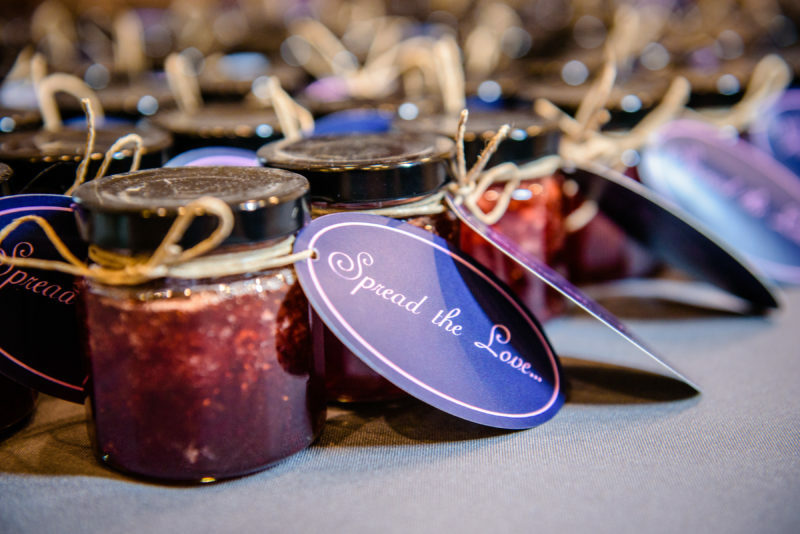 ), and I loved these sweet little jam jars Emilie and Roy’s had for their guests to take at the end of the night! 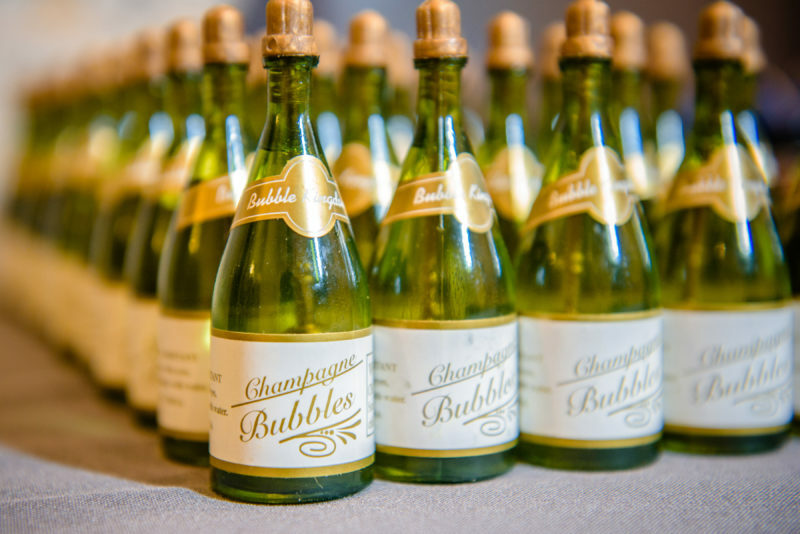 Add to that some cute little champagne bottles of bubbles, and we’ve got a wonderful send-off! 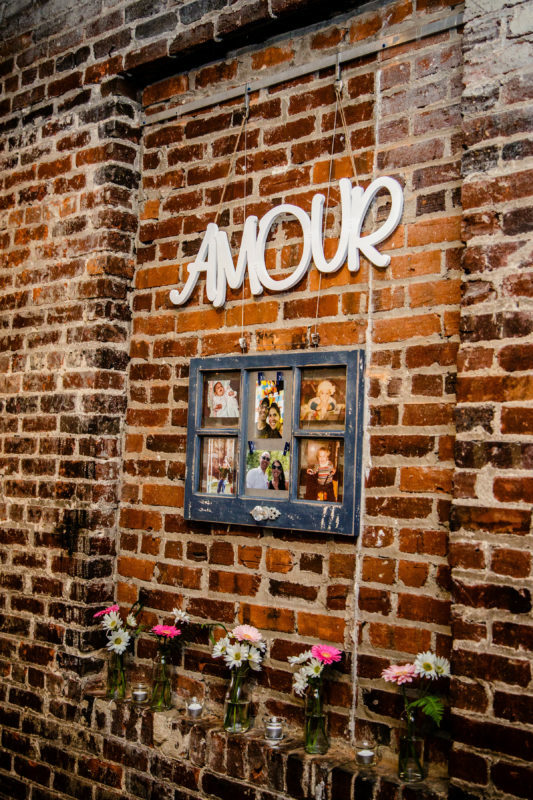 Kudos to the fabulous vendor team Emilie & Roy assembled!